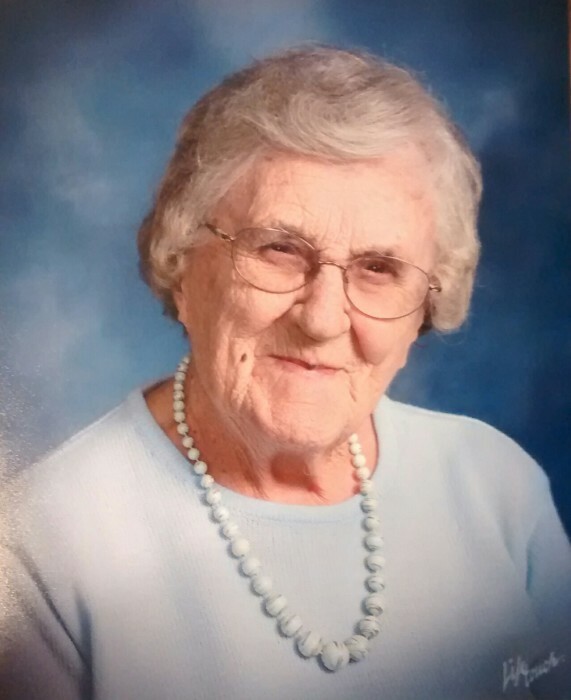 Leota “Lee” Allen, 97, of Staples, passed away April 6, 2019 at Lakewood Health System Care Center. A Memorial Service for Lee will be held at 11:00 a.m., Wednesday, April 10, 2019 at Motley United Methodist Church. Family and friends are invited to gather one hour prior. Interment will take place at a later date at St. James Cemetery in Philbrook. Lee was born September 10, 1921 in Lyon County, MN, the daughter of Allen and Opal (Wood) Halstead. She attended Lynd Consolidated School and was baptized and confirmed at Lynd United Methodist Church. In 1942, in she married Harold Donald “Don” Allen. She enjoyed sewing and doing crafts. She also liked to be outdoors – especially hiking, gardening, and snowmobiling. She was a member of the Brunswick Methodist Church in Crystal and currently a member of Motley United Methodist Church. After Don’s retirement, they enjoyed spending 23 winters in Arizona where Lee and Don met some of their best friends. She is survived by her children, Ron (Sharon), of Alexandria, Mike (Freda) of Waco, TX, Jan (Dave) Bartle, of Motley; and Gary (Linda), of Staples; many grandchildren, great-grandchildren, and great-great-grandchildren; many nieces and nephews; and brother-in-law, Marvin Allen. She was preceded in death by her husband, Don; daughter, Kathryn; three brothers; five sisters; and son-in-law, Verne Smith.